When my son was small he liked listening to short stories from the legendary Tamil writer Devan’s classic book “Thuppariyum Sambu“. Once I had completed all the stories in the book, I started making up my own episodes, he continued to enjoy them as well. Continuing an established plot line didn’t make me a writer. It is easy for anyone to continue on the rub-off effect of the original, but to do a good sequel you need to be different. And that where Velaiilla Pattadhari 2 (VIP2) falls out compared with the original VIP. 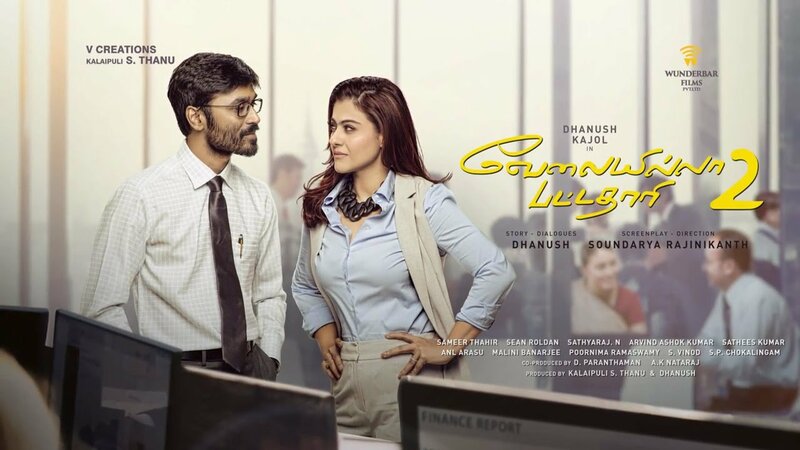 In VIP2, Raghuvaran (Dhanush) is married to Shalini (Amala Paul), Raghu’s mom (Saranya Ponvanna) has died and Shalini has taken over the role of high-handedly running the family. Raghu wins the best engineer award in Delhi, which brings him to the notice of South India’s leading Architect Vasundhara (Kajol). Raghu turns down the job-offer from Vasundhara, which starts an ego-tussle between them. In between Raghu complaints of getting married and to put up with a dominating wife like Shalini, which is accompanied by two pathos songs sung with alcohol supplies from Tasmac. That summarises the storyline of VIP2. Kollywood audience including myself is used to seeing the ever charming ‘Kajol‘ as a lovely person. The role she plays in this film looks a misfit. Please don’t get me started on the outfits and the makeup of Kajol in the film, they were completely out of place. Director Soundarya Rajnikanth could have helped by providing Vasundhara with a good character introduction. More goof-ups are littered throughout the film – in the scorching sun of Chennai, everyone wears a necktie all the time; I can think of no real-estate construction project that requires a small company to have 1000 engineers (VIPs as Raghu calls them) on their payroll; it is certainly not possible to do a share-sale in a private limited company like VIP Constructions without the current board knowing the details of sale. Dear Dhanush, I was super impressed with your brilliant performances in films like Maryan (2013) & Anegan (2015), and your directorial debut in Pa-Paandi (2017) was superb. It is sad that someone with your talents feel the need to associate courage and conviction with smoking – may be tobacco lobby had sponsored this film?. Especially in the scene where Raghu challenges Vasundhara and walks out, you lighting a cigarette inside a corporate room and blowing the smoke over Kajol’s face was in poor taste. More weird is that a competent actress Amala Paul has been limited to few scenes and to prepare “dosa” at the end for Kajol in the climax. 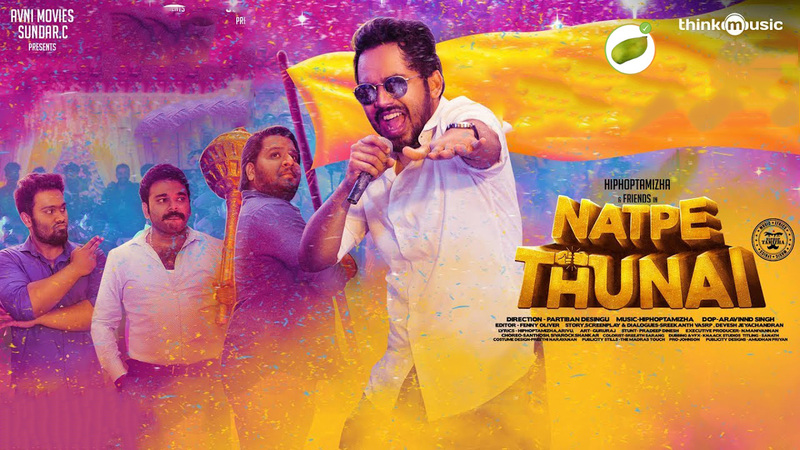 “Iraivanai Thandha” melody by Sean Roldan is a good one, you keep humming it even after you come out. The scene where a lawyer keeps telling an ever increasing number of public interest litigation was a nice touch.